This genus is accepted, and its native range is Florida to Tropical America. Seeds discoidal, sometimes compressed, reniform, elliptic, ovate or prismatic, few to many; testa crustaceous, reticulate-foveate. The flowers of these species are borne in complex inflorescences which can be compact or lax cymes, racemes, umbels or panicles. 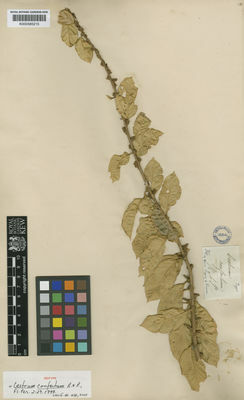 The precise structure is extremely difficult to determine from the available herbarium material, and so has not been used diagnostically in the following account. The more important chemical constituents found in Cestrum species are summarised in Hunziker (2001). 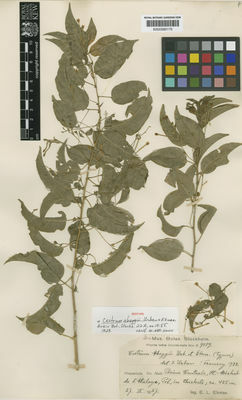 Species belonging to this genus are often called Jessamines. Night-opening flowers are thought to be sphingid (hawkmoth) pollinated, while pollination of red and yellow flowers is by hummingbirds attracted to plants with the sucrose dominant nectars which characterise Cestrums. Their juicy berries are usually bird-dispersed, though some species with foetid foliage and leathery fruits are probably bat-dispersed. Many authors (e.g. Francey, 1935, 1936; Nee, 2001; and Benítez de Rojas & D’Arcy, 1998) have recognized a number of varieties and even forms in most of the species described below. 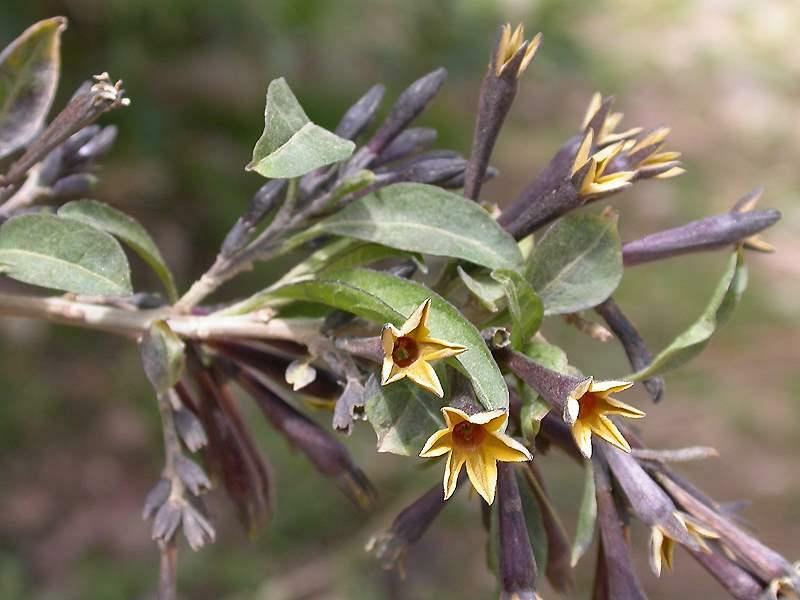 Since none of the names concerned have been encountered on East African material, they have not been included in the synonymy of these species. Stamens equal or subequal, attached from the middle or higher within the corolla tube and running downwards as ridges, very rarely totally free, mostly included; free part of filaments filiform, often thickened, geniculate or appendaged at or near the base, variously pubescent to glabrous; anthers short, ± globose or obcordate in outline, medifixed, the thecae ± parallel, dehiscing by longitudinal slits Stamens equal or subequal, attached from the middle or higher within the corolla tube and running downwards as ridges, very rarely totally free, mostly included; free part of filaments filiform, often thickened, geniculate or appendaged at or near the base, variously pubescent to glabrous; anthers short, ± globose or obcordate in outline, medifixed, the thecae ± parallel, dehiscing by longitudinal slits. Disk glandular, rather thick or membranous and cupular, occasionally inconspicuous Disk glandular, rather thick or membranous and cupular, occasionally inconspicuous. Ovary on a short, stout stipe or subsessile, ovoid or globose, 2(rarely only incompletely)-locular, the middle dissepiment with subglobose placentas, the ovules few–many in each locule, hemitropous. Style filiform, usually with minute glands upwards. Fruit blackish to violaceous, sometimes reddish, rarely white, shortly stipitate, baccaceous, ± globose or ovoid to obovoid, fleshy or juicy, (1)2(4)-locular, indehiscent, rarely with 1–2 apical sutures Fruit blackish to violaceous, sometimes reddish, rarely white, shortly stipitate, baccaceous, ± globose or ovoid to obovoid, fleshy or juicy, (1)2(4)-locular, indehiscent, rarely with 1–2 apical sutures. Seeds few or solitary by abortion, variable in shape and size, compressed, dorsally convex, the internal face angular; testa often nearly smooth; embryo orbicular, ovate or oblong in outline, usually thick, straight or somewhat curved in the axis of the fleshy endosperm, with the terete radicle inferior, much narrower (or scarcely so) than the small, compressed, foliaceous, often semi-terete cotyledons Seeds few or solitary by abortion, variable in shape and size, compressed, dorsally convex, the internal face angular; testa often nearly smooth; embryo orbicular, ovate or oblong in outline, usually thick, straight or somewhat curved in the axis of the fleshy endosperm, with the terete radicle inferior, much narrower (or scarcely so) than the small, compressed, foliaceous, often semi-terete cotyledons. Ovary on a short, stout stipe or subsessile, ovoid or globose, 2(rarely only incompletely)-locular, the middle dissepiment with subglobose placentas, the ovules few–many in each locule, hemitropous; style filiform, usually with minute glands upwards; stigma small, ± capitate, subpeltate, concave or 2-lobed, rarely clavate, included or exserted. 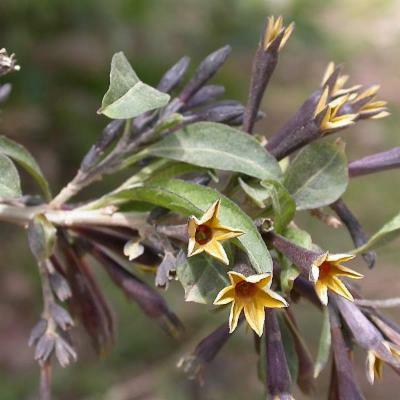 They have been widely cultivated as ornamentals in many parts of the world, where they are now commonly naturalised. 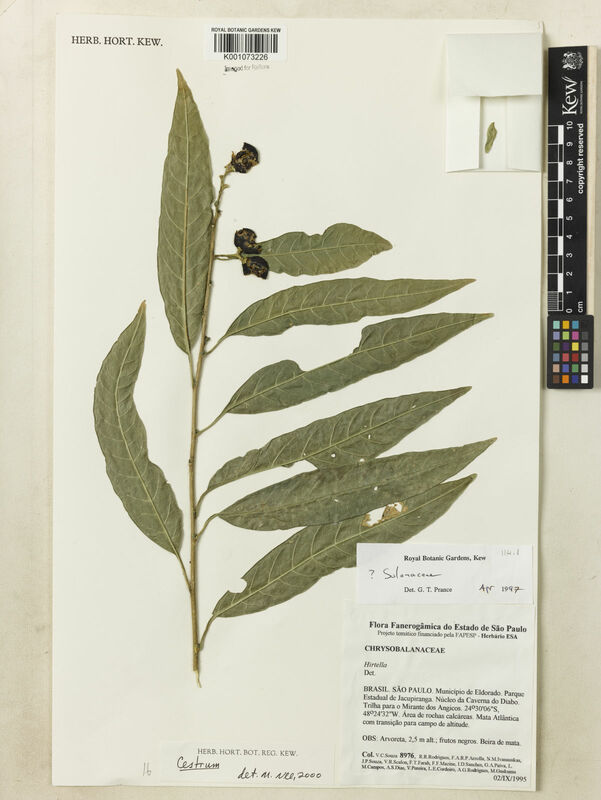 Despite their popularity as garden ornamental and hedging plants, many species are notoriously poisonous, especially to stock; many are used medicinally. Argentina Northeast, Argentina Northwest, Argentina South, Bahamas, Belize, Bolivia, Brazil North, Brazil Northeast, Brazil South, Brazil Southeast, Brazil West-Central, Chile Central, Chile North, Chile South, Colombia, Colombia, Costa Rica, Cuba, Dominican Republic, Ecuador, El Salvador, Florida, French Guiana, Guatemala, Guyana, Haiti, Honduras, Jamaica, Leeward Is., Mexican Pacific Is., Mexico Central, Mexico Gulf, Mexico Northeast, Mexico Northwest, Mexico Southeast, Mexico Southwest, Nicaragua, Panamá, Paraguay, Peru, Peru, Puerto Rico, Southwest Caribbean, Suriname, Trinidad-Tobago, Uruguay, Venezuela, Venezuelan Antilles, Windward Is. Cestrum buxoides Ekman ex Urb. 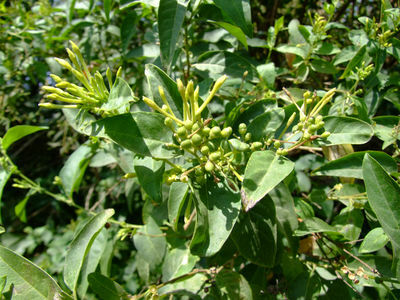 Cestrum conglomeratum Ruiz & Pav. Cestrum cordatum Schott ex Sendt. 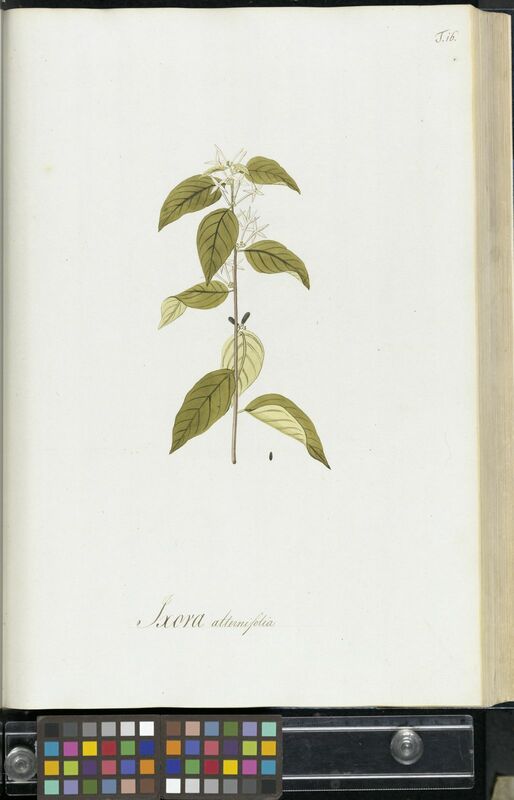 Cestrum glomeratum Schott ex Sendt. Cestrum guaraniticum Chodat & Hassl. 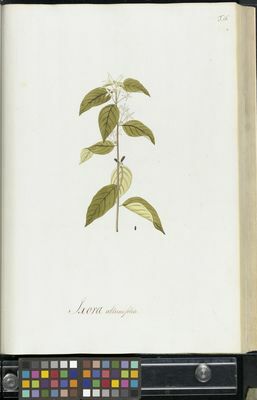 Cestrum longiflorum Ruiz & Pav. Cestrum pauciflorum Willd. ex Roem. & Schult. Cestrum sessiliflorum Schott ex Sendt. Cestrum strictum Schott ex Sendt. Cestrum undulatum Ruiz & Pav. Hunziker, Gen. Solanacearum: 32 (2001). in Candollea 7: 1 (1936). Gen. Pl., ed. 5: 88 (1754).